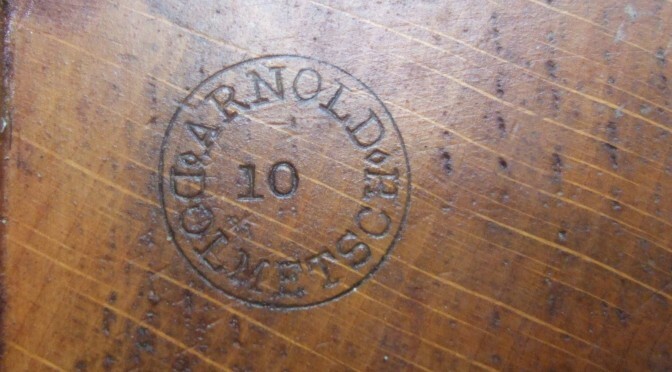 Arnold Dolmetsch harp no. 10 has finally arrived at my house. Thanks to Iris Nevins who passed it on to me, and Ann Heymann who organised shipping from the US. 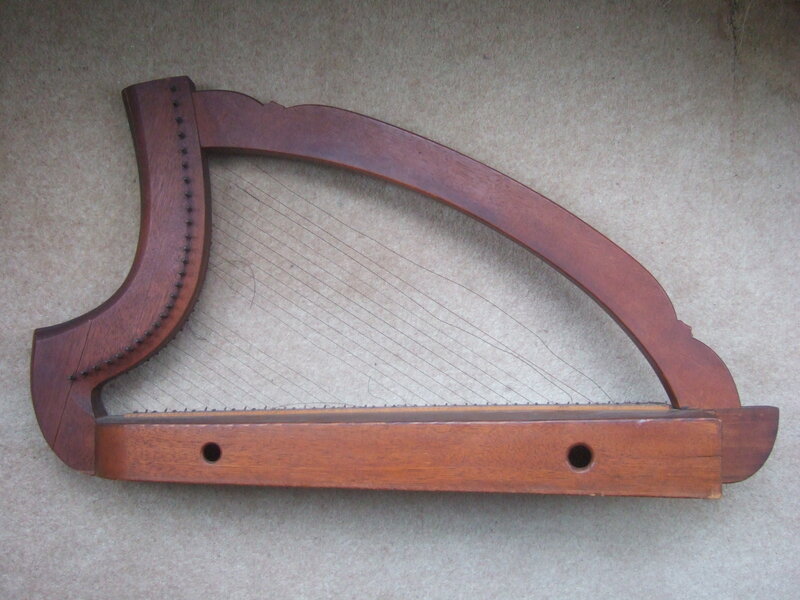 This harp is much plainer than the other Dolmetsch harps I have seen, but its low serial number makes me wonder if it was made in the late 1930s, when Arnold was still alive. 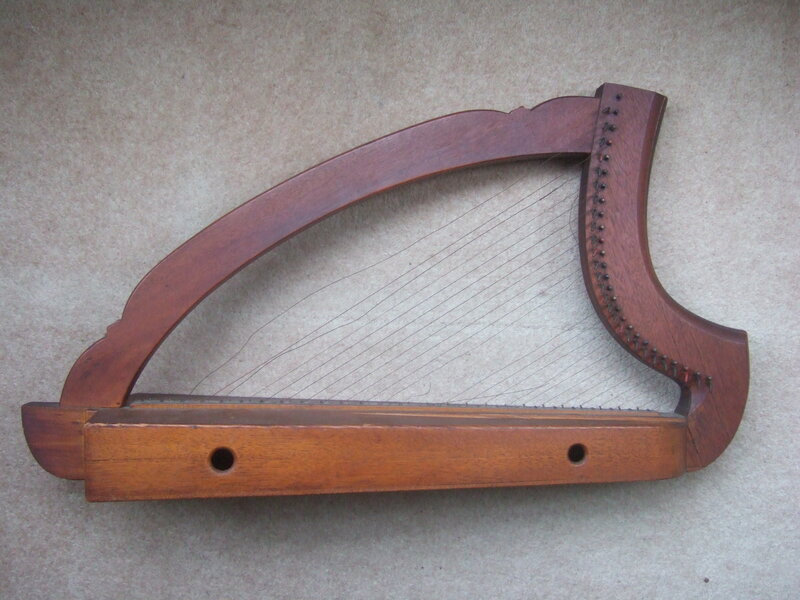 The harp has a lot of small cracks and separations of glue joints, I think from the wood shrinking in the dry US climate, but I don’t think any of these are structurally compromising. The real problem is a long soundboard crack. I will need to take the back off, I think, to be able to glue it. I will use hide glue like repairing a guitar – this instrument is pieced together and not carved sculpturally from a log like the old Gaelic harps. Although it is poorly designed from a modern point of view, being a strange hybrid of ancient and 20th century design, it has a seductive sweet charm and is very compelling as it sits in my room. My aim is to repair and restring it, and to make a Youtube for Iris. Watch this space.